We are partnering with Duke University graduate student to conduct a survey to learn more about how the Chesapeake Conservancy can better serve you the stewards of the Chesapeake Bay! Help us conserve the beauty and wild of the Chesapeake for generations to come. Visit FindYourChesapeake.com to explore the Chesapeake watershed. The website features trip ideas, a calendar of events, and site listings for authentic Chesapeake experiences. 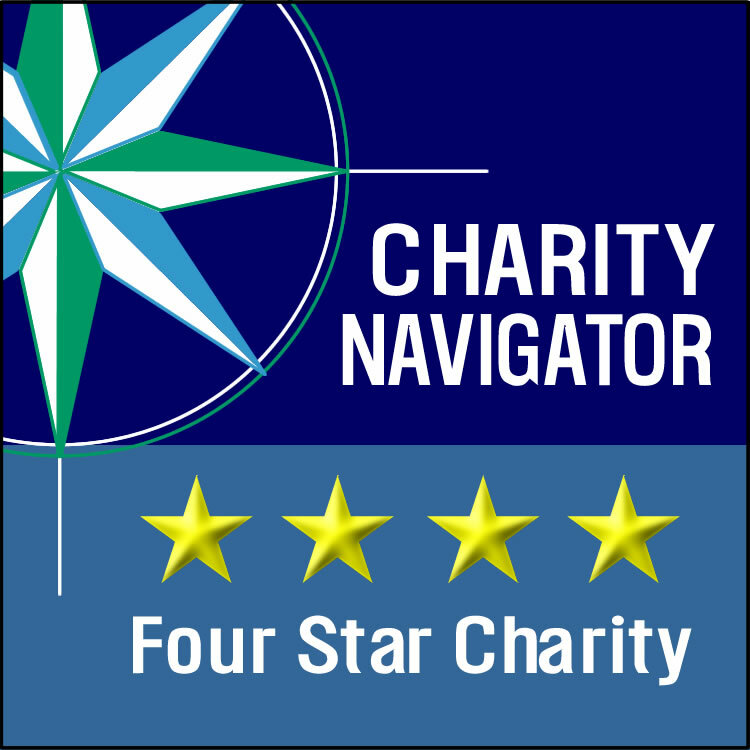 Thanks to our partners at Explore.org, we are viewing this year with a brand new more sophisticated camera! Audrey returned on March 19 at 7 pm, while Tom returned a week later on March 25 at 7:11 am. The osprey couple began to rebuild their nest following their reunion. After finishing preparations on the nest, Audrey laid her first egg on April 14 in the early morning hours. About three days later, Audrey laid her second egg April 16th at 11:05 pm. Audrey then laid her third egg around 11:40pm on April 19. The 2018 season kicked off when the first osprey returned in the evening of March 18, 2018. The next morning, the Crazy Osprey Family reported two osprey on the platform and later confirmed they were the same “Tom & Audrey” from 2017! On April 12, 2018 at 4:51 a.m., Audrey laid her first egg. The second egg arrived on April 15, 2018 at 1:21 a.m., and the third egg 79 hours later on April 18, 2018 at 7:57 a.m. Sadly, one egg became dented and was no longer viable. The first of the remaining two eggs hatched on May 21, 2018. The second egg hatched on May 24, 2018. In our yearly naming contest, the chicks were named Meghan and Harry in honor of the royal wedding. To our surprise, the two chicks were identified as female when they were banded by raptor biologist, Craig Koppie on July 13, 2018. Not long after their banding, on July 19, 2018, Meghan and the newly named Harriet, fledged. In early August, Harriet stopped returning to the nest. Thankfully this is not unheard of in the osprey world, sometimes juvenile ospreys fledge and move to a neighboring nest. Harriet was last seen August 6, Meghan stuck around a little longer and was last seen August 27. Audrey also left to move south for the winter, last being sighted on August 22 and Tom was last sighted on September 13. We here at the Chesapeake Conservancy are glad to bring you another year of Tom and Audrey’s adventures, and hope you will join us again next year to once again watch one of the Chesapeake’s most fascinating and beautiful creatures. Stay tuned for the wildlife webcam to be put back up in early March! In the off season the Osprey Cam offers us a unique view at the other wildlife in the area. Often cormorants, bald eagles, crows, and various other birds can be spotted on the cam or even stop in at the empty nest. The Chesapeake region’s favorite osprey pair, Tom and Audrey, returned once again to their home on Kent Island, with Audrey returning on time around Mid-March. Tom decided to stay in a warmer region a little longer and finally returned to suspenseful fans by the end of the month. After a few weeks of heavy labor nest-building, Audrey laid three eggs. Unfortunately, while fans were patiently awaiting for the eggs to hatch, crows came into the nest and destroyed and consumed two of the eggs and damaged the final one. After weeks of waiting and constant questioning of our raptor biologist colleague, Craig Koppie, it was determined the final egg was no longer fertile. A few days after this announcement Audrey removed the final egg from the nest. Tom and Audrey remained in the vicinity of the nest all summer long until they migrated south in the fall. Found on every continent except Antarctica, osprey (Pandion haliaetus) are one of the Chesapeake’s most amazing birds for a number of reasons. They migrate thousands of miles each year to and from Central and South America, mate for life, and return to the same spot year after year, despite spending the winter apart from each other. You might see ribbons on some of the sticks in Audrey’s nest. The Crazy Osprey Family puts a few sticks with ribbons tied on them in their yard each season. It’s fun to track where they wind up! To learn more about osprey and the Bay’s other amazing creatures use our National Wildlife Refuge App, or visit one of our region’s many national and state parks and refuges to see them in the wild! 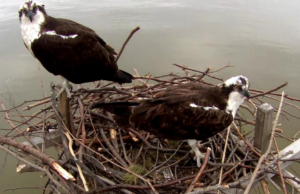 If you enjoy our Osprey Cam, please consider donating to the Chesapeake Conservancy to help us in our efforts to protect their Chesapeake habitat. Special thanks to our partners at Explore.org and the Crazy Osprey Family for making this cam possible! Please be sure to check out our peregrine falcon and great blue heron cams as well! Learn more about osprey with our frequently asked questions and fun facts. Are you enjoying watching this webcam? Sign up to get news updates throughout the year about Chesapeake Conservancy's work to protect and restore the land and water that matter to you--and for the opportunity to name this year's chicks!